In the early 1980s the Victorian Government announced a new initiative called “Rental Housing Co-operatives” (RHCs). RHCs were seen as an alternative way of providing housing for low income families, which could provide the affordability and security offered by public housing and also some of the benefits of home ownership. RHCs offer tenants/members involvement in the initial purchase as well as involvement in the management of their homes, including property management, tenant selection processes and policy development for the co-operatives. It was felt tenants/members of co-operatives would develop a sense of personal empowerment and develop informal support networks beneficial to members and their families, as well as leading to a higher level of care for properties. In 1982/3, small groups of community minded people gathered together around Victoria to find out more about this new initiative called ‘Rental Housing Co-operatives’. 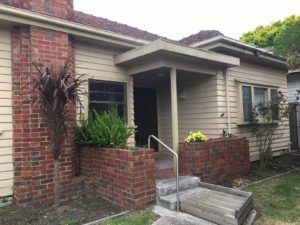 Two such groups gathered in Footscray and Essendon, with local community housing workers, and decided to make a submission to the Government. Not long after the Footscray Rental Housing Co-operative and Essendon Rental Housing Co-operative were born. The Victorian Government provided funds for a community worker to help the initial members to establish all areas of the business including finance, property maintenance and tenancy management. In the early years, members were taught how to conduct meetings and manage the Co-operative. In 1985, both Footscray Rental Housing Co-operative and Essendon Rental Housing Co-operative became incorporated associations with over 25 properties and members; and became a community within a community that supported each other with all aspects of running and maintaining the properties. A Committee of Management and Property Maintenance Committee were created, where members were responsible for all works including inspections, organising quotes and tradespeople, painting and gardening. This provided opportunities for members to participate in the running of the Co-operative. Within about five years, the co-operatives grew to over 35 properties and became self-sufficient. The Co-operative members worked very hard to maintain their operations and worked through many difficult issues, but they were not without their challenges. In 2006, the Essendon Rental Housing Co-operative found itself in some difficulties and was encouraged to merge with Footscray Rental Housing Co-operative, creating a much larger co-operative, 85 properties strong, covering a large area from Moonee Ponds to Laverton. The merge was not a simple process and involved both groups working together to marry policies and procedures and to come up with a new structure. Fortunately the merger was successful and resulted in a much stronger and more financially viable organisation. At about the same time, the Office of Housing adopted a new regulatory framework, which required housing co-operatives and other community housing providers to become Registered Housing Providers (RHPs). This was a significant change and required the development of a professional management structure. This brought some major changes in the RHCs model which has evolved over time and like many aspects of our lives have been moulded by changing Government legislation such as the Equal Opportunity Act, Privacy Act, Anti-Discrimination Act, as well a whole range of compliance and regulatory requirements. As a result of these many changes, RHCs have maintained some level of member control but under much stricter controls imposed by the State Government. The membership must now elect a Board of Directors who assume responsibility for governance on behalf of the members to ensure all governance and operational matters are carried out according to Government legislation. Once again members of the Co-operative rose to this new challenge and worked very hard with the Manager to develop a whole new organisational structure, including a raft of new policies and procedures to meet accreditation requirements. In April 2010, after becoming a fully operational Registered Housing Provider, the members voted to become United Housing Co-operative Ltd., a move designed to reflect the merger of the Footscray and Essendon co-operatives, and to set a symbolic new direction for the Co-operative. The Co-operative formally changed its name to the United Housing Co-operative Ltd. (UHC) in July 2010. 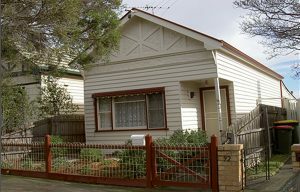 In late 2010 and 2011, a further 9 properties were acquired, some through re-development of existing properties under the Housing Provider Framework Lease with DHHS, and 4 new houses acquired through the Nation Building Program. These 4 properties are wholly owned by UHC, however the DHHS interest is registered on the title. The acquisition of these new properties set the path for the future of UHC.